The Arab Economic and Social Development Summit has kicked off in Lebanon’s capital, Beirut shortly after the arrival of Qatar’s Emir Sheikh Tamim bin Hamad Al Thani at the city’s Rafic al Hariri Airport. The economic meeting, a prelude to the actual Arab League summit taking place in Tunisia in March, has been overshadowed by political rifts and poor attendance among Arab heads of state, many of whom pulled out at the last minute. The 20 countries taking part in the summit on Sunday will be making a joint statement on a 29-item agenda that ranges from discussions on an Arab free trade zone and the economic impact of Syrian refugees on host countries. In addition to the Qatari head of state, only Mauritania’s President Mohamed Ould Abdel Aziz joined the Lebanese President Michel Aoun at the official summit meeting. Other countries have sent prime ministers and foreign ministers as representatives at the meeting. 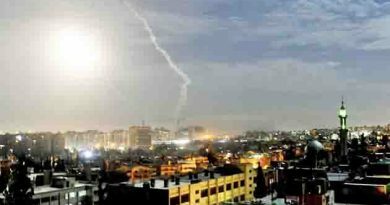 But after Libya decided to boycott the summit following an incident which saw members of the Amal party, an ally of the Iran-backed Hezbollah, tear down and burn its flag near the summit venue last week, leaders’ attendance began to trickle. Amal, a Shia group, is opposed to Lebanon having ties with Libya because of the disappearance of Imam Musa Sadr, the movement’s founder, during an official visit to the country in 1978, then under Muammar Gaddafi’s rule. 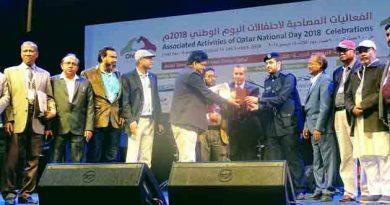 Bangladesh Community triumphs in Qatar National Day celebrations. Libya , Tripoli : Inside Libyan detention ‘hell’ where refugee burned himself alive.